"No stop, I love you, come baaaaaaack!" Edited by Pennpenn, 04 July 2015 - 07:55 PM. I'll just be happy to finally learn if its red or brown as it has a habit of showing as either or on telescopes. Edited by Glenn, 05 July 2015 - 01:35 PM. And if this will stop people presenting it as a greyish planetoid... Ha! I, personally, view this as an opportunity. Mostly because no one will want to stake a claim to a dwarf planet, which means you could probably scoop up the rights to the entire planet dirt friggen cheap. Somehow, I don't think that would hold up in Plutonian courts. Oh please, I'm human. Like I care what a bunch of aborigines think. Still a little concerned. It's only 10 days away and full recovery may take several days? That's cutting it a little close. Just get some good pictures. NASA's New Horizons mission is returning to normal science operations after a July 4 anomaly and remains on track for its July 14 flyby of Pluto. The investigation into the anomaly that caused New Horizons to enter "safe mode" on July 4 has concluded that no hardware or software fault occurred on the spacecraft. The underlying cause of the incident was a hard-to-detect timing flaw in the spacecraft command sequence that occurred during an operation to prepare for the close flyby. No similar operations are planned for the remainder of the Pluto encounter. "I'm pleased that our mission team quickly identified the problem and assured the health of the spacecraft," said Jim Green, NASA's Director of Planetary Science. 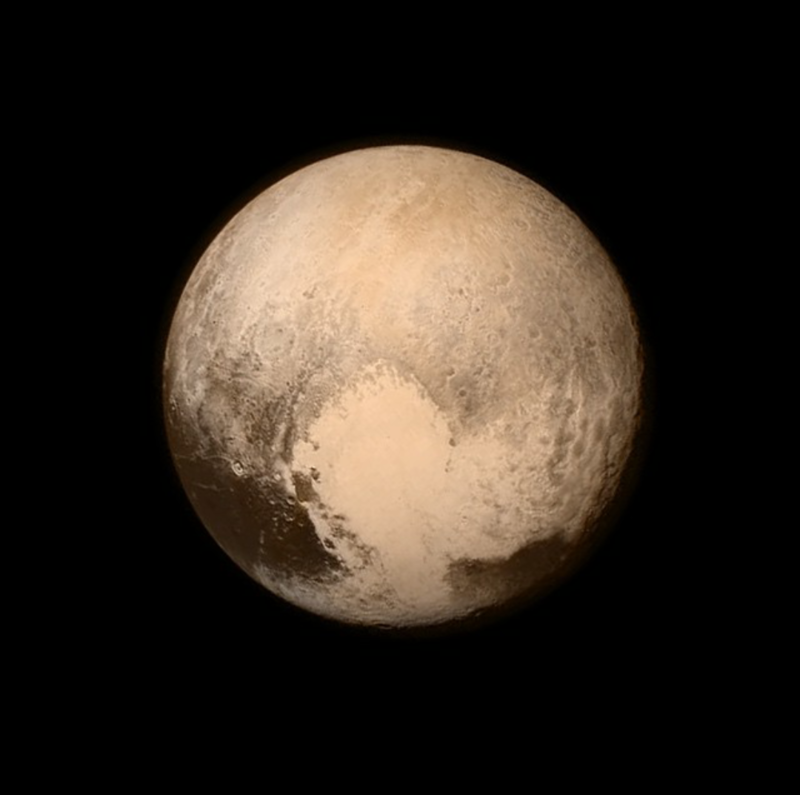 "Now - with Pluto in our sights - we're on the verge of returning to normal operations and going for the gold." Preparations are ongoing to resume the originally planned science operations on July 7 and to conduct the entire close flyby sequence as planned. The mission science team and principal investigator have concluded that the science observations lost during the anomaly recovery do not affect any primary objectives of the mission, with a minimal effect on lesser objectives. "In terms of science, it won't change an A-plus even into an A," said New Horizons Principal Investigator Alan Stern of the Southwest Research Institute, Boulder. The Plutonians know we're coming and have left us a big message. 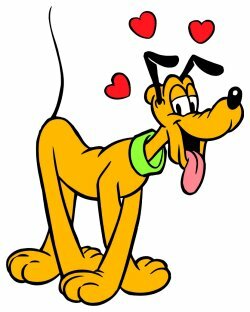 Awww, Pluto loves us very much! The Plutonians were willing to throw a parade for Jerry Smith. I don't think we should care what they think. Yeah the last thing I expected them to discover on Pluto was a cutie mark. -ZacWilliam, or is it more of a Care Bear belly badge? Edited by ZacWilliam1, 09 July 2015 - 06:52 AM. NASA’s New Horizons mission has answered one of the most basic questions about Pluto—its size. 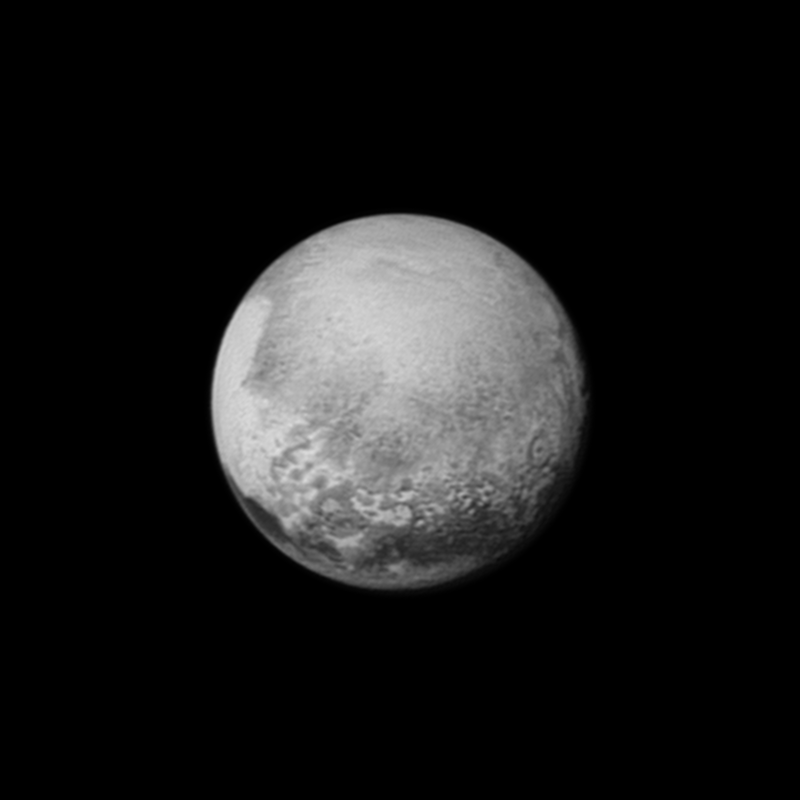 The probe swings by Pluto in a little over ten hours. The picture-taking will be an intense process so don't expect too many photos until after the pass. You shiny little beauty, you. I dreamt of this stuff as a kid. Just under 116,000 miles to go, I thought I could stay awake for it. Last photo release before the flyby, we'll get some hi-res stuff either tomorrow or the next day. 27 minutes til the pass. Edited by CORVUS, 14 July 2015 - 07:36 AM.